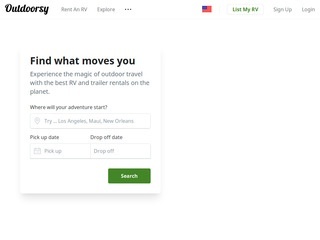 Outdoorsy connects RV owners with qualified renters and make it easy and safe for them to transact. It's free to list your RV on Outdoorsy. A small transaction fee is taken from each successful booking.